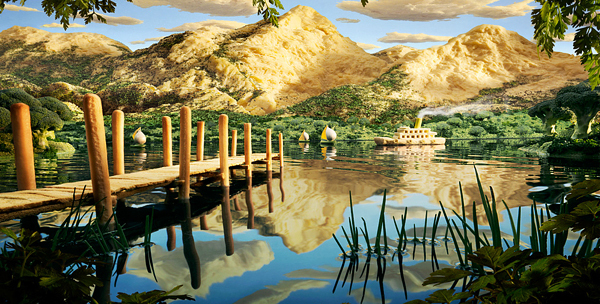 At first glance, the following images look like painted landscapes, including towering hills, picturesque houses and stormy sea in the background. 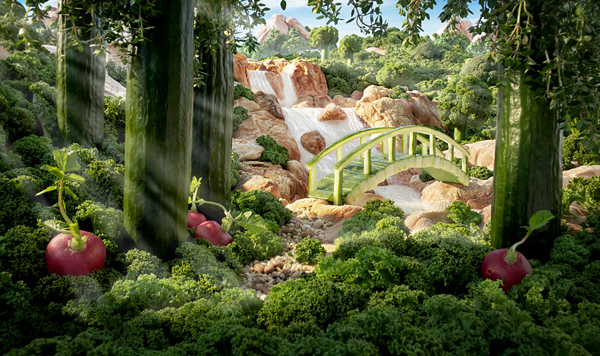 But if you look more closely you will see that the stormy sea was made of cabbage, trees are broccoli or celery and the hills are freshly baked bread. 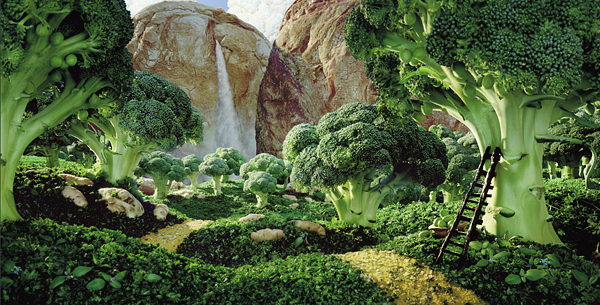 These aren’t paintings but true photos! 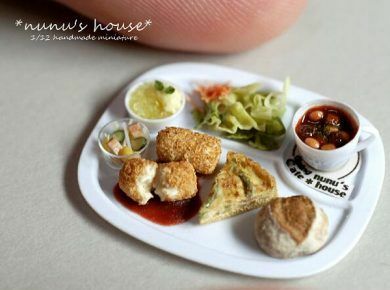 And everything you can see in the photo is made of real food! 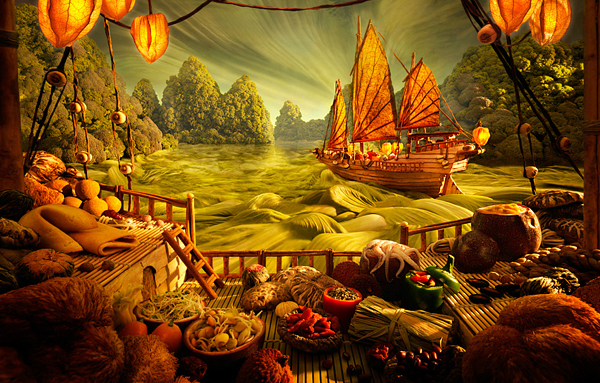 Pictures were created by London photographer Carl Warner who made specialty of these food landscapes or how I like to call them “foodscapes”. 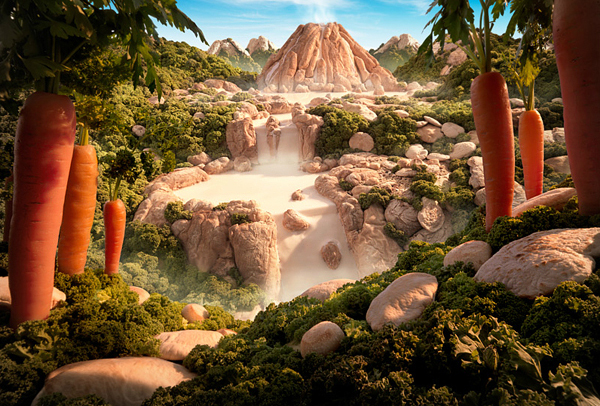 In recent years he has been commissioned by many advertising agencies throughout Europe to produce his distinctive images for clients in the food industry. The process is very time consuming, and so the food quickly wilts under the lights. Carl says “I tend to draw a very conventional landscape as I need to fool the viewer into thinking it is a real scene at first glance. 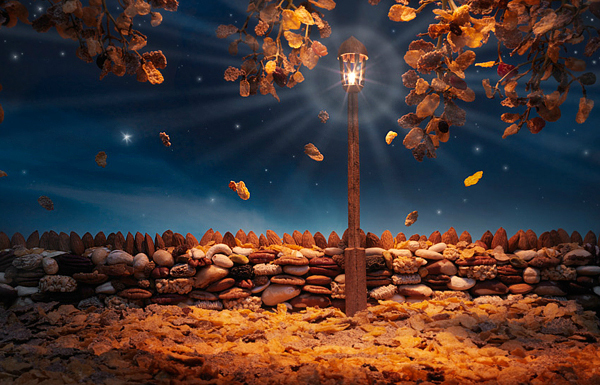 It is the realization of what the real ingredients are that brings a smile, and for me that’s the best part.” These images can take two or three days to build and photograph, with a couple more days spent retouching and fine tuning the images to blend all the elements together. 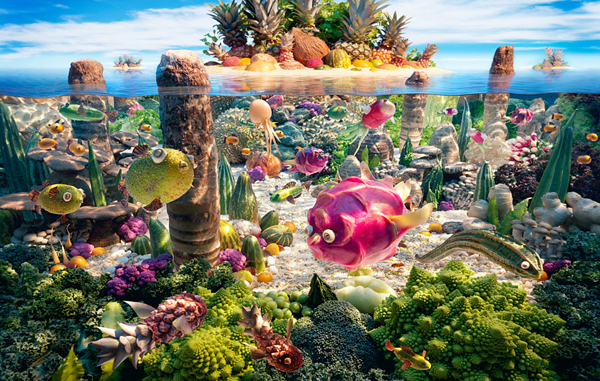 Carl devotes a lot of time to planning each image before he starts shooting, and he spends a lot of time staring at vegetables in supermarkets, which can make him seem a little odd!